BOZEMAN, Mont., Feb. 14, 2018 /PRNewswire/ -- Zoot Enterprises today unveils its latest new platform, WebRules® Live and Builder. For 25 years, Zoot has provided best-in-class decisioning tools for the country's top financial institutions. With its newest offering, Zoot can develop and deploy client solutions that are faster and more flexible than ever before. 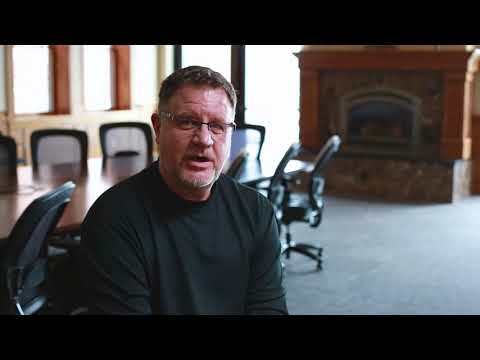 Eric Hathaway, VP of Marketing at Zoot Enterprises, announces Zoot's exciting new platform. "The market demands a clear definition of how we do things — how we put the pieces together," said Eric Hathaway, VP of Marketing at Zoot Enterprises. "Zoot has achieved this by introducing WebRules Live, our new decisioning engine, and WebRules Builder, our new design tool. Together, they are a game-changing evolution in decisioning technology. We're excited about putting them to work." Live and Builder answer an important need in the industry: to give financial institutions complete transparency and control over their business initiatives. In today's competitive, highly regulated banking environment, WebRules provides nimble, purpose-built solutions to address any financial institution's end-to-end decisioning needs — all with the reliability, redundancy, and security of Zoot's world-class infrastructure. The WebRules platform is the result of decades of refinement, industry insight and collaboration with Zoot's clients. "No one else in the marketplace has the ability to bring hundreds of diverse data sources, customized logic, and instant decisioning together in real time, with a tool," said Chris Nelson, CEO of Zoot Enterprises. "With WebRules Builder, you can take a working model and prototype it yourself, as you are thinking through the idea. And as you are prototyping, you are actually building. Having this kind of speed to market is unparalleled." For over 25 years, Zoot Enterprises has been a global provider of advanced origination, acquisition, and decision management solutions. Its customer-centric tools and services enable Zoot's clients to add value and differentiation, while providing simple, scalable solutions to specific business objectives. A leader in the fintech industry, Zoot's cloud based secure processing environment delivers millisecond real time decisions accessing hundreds of cutting edge data sources to help reduce risk and increase conversions. The company's international client base includes major financial institutions, retailers and payment providers. For more information, please visit www.zootsolutions.com or call 406-556-7555.